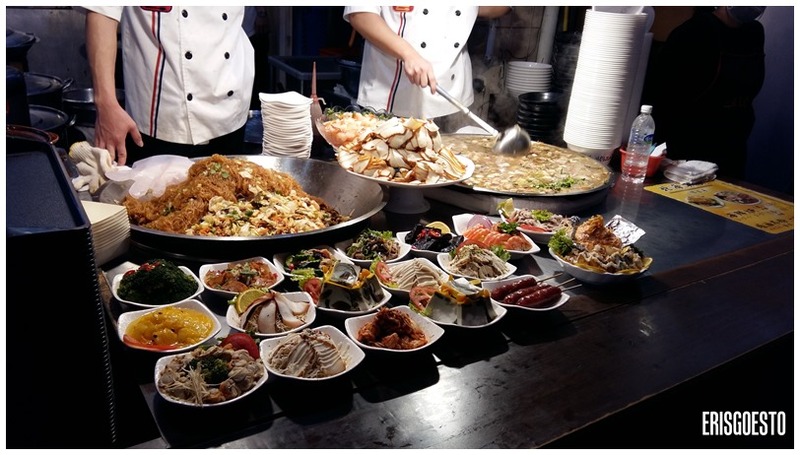 In Taipei, there are also loads of spots to check out, from the ever popular Shih Lin Night Market to the Keelung Temple Night Market, each with their own specialties. 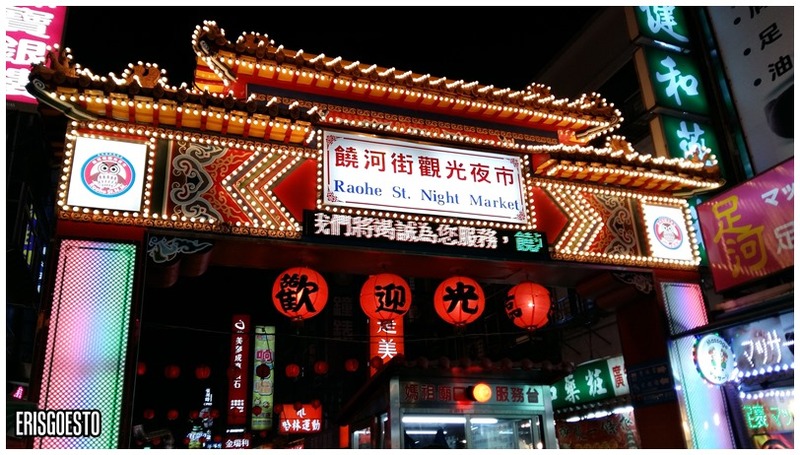 For this trip, we were headed to Raohe Night Market in Songshan district. 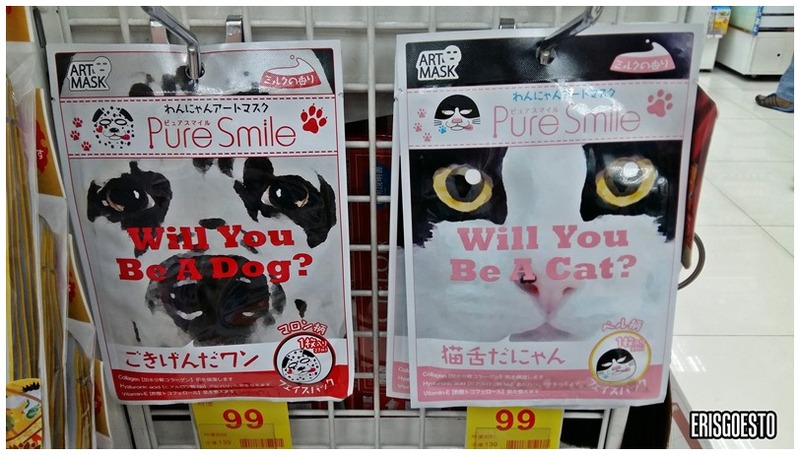 Popped into a pharmacy and saw this – took me awhile to figure out that they were face masks lol. 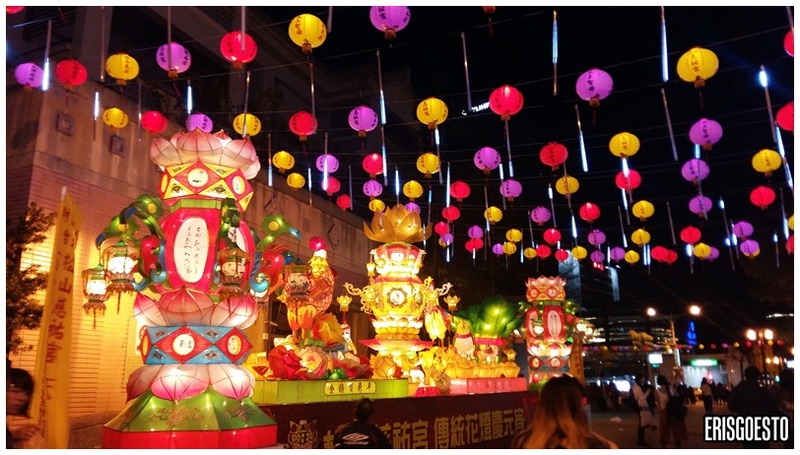 Just a short walk from the Songshan subway station, we came to the street which was bustling with activity, sights and smells. 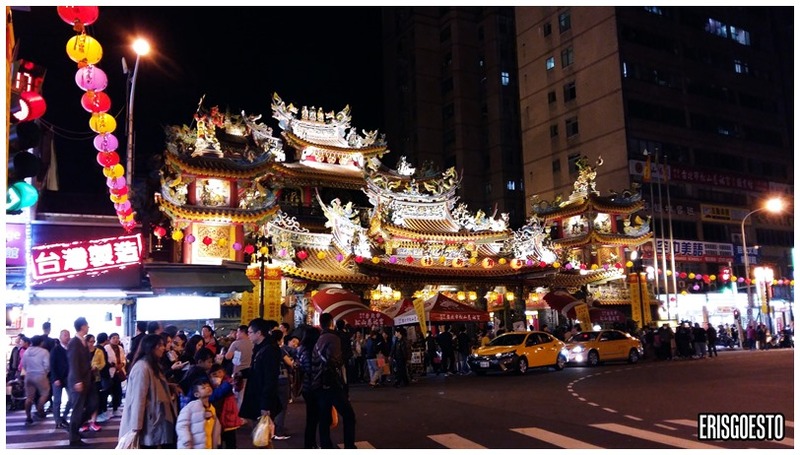 One of the oldest night markets in Taiwan, it measures 600m from start to end, with Ciyou temple (built in the Chinese Qing Dynasty) at its northern entrance. Food isn’t the only thing you’ll find – there are stalls selling cheap electronic goods, gadgets, phone accessories, clothing, souvenirs, decorations, and more. 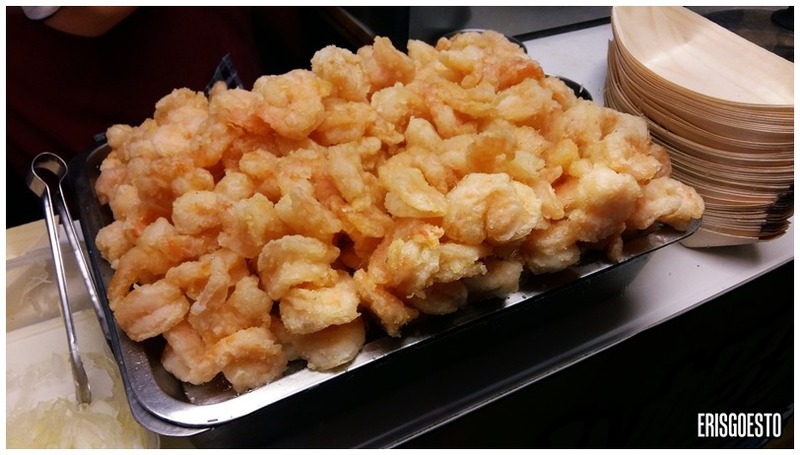 Food displays to entice customers. What with the close quarters, food being placed out in the open and people milling about, it’s not exactly hygienic…but I guess that’s part of eating at a night market. 😀 It’s fascinating to see snacks being grilled on an open fire and served up piping hot on the spot. 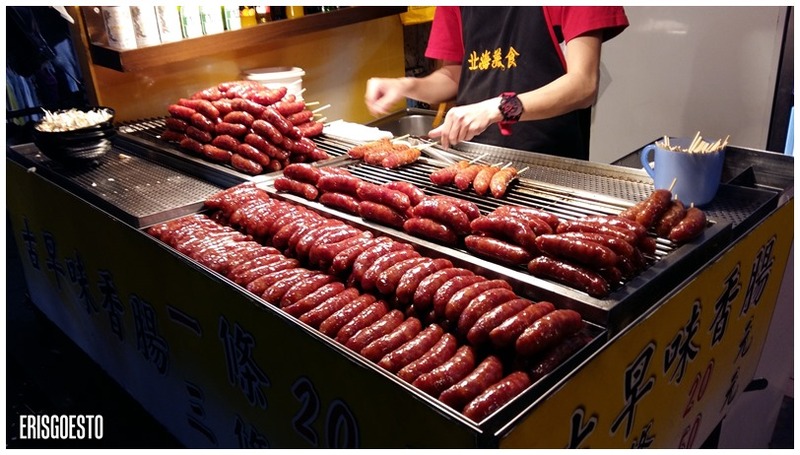 The ubiquitous Taiwanese sweet sausage. I tried something called ‘Dachang bao Xiaochang’ or Small Sausage wrapped in Big Sausage (literal translation lol), which is a Taiwanese favourite consisting glutinous rice stuffed into sausage casing. Like a giant sausage/rice dumpling. Fried shrimp looked good so I got some too…but they lied. Tasteless. 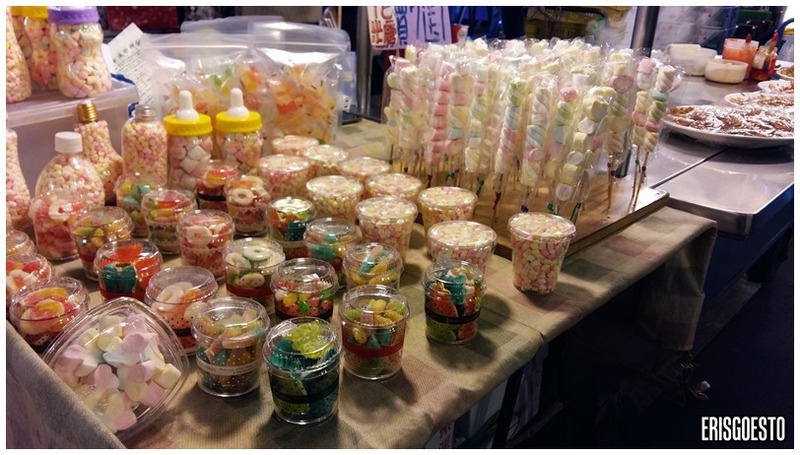 Colourful candy on sticks and in jars. Assorted braised goodies. Braising in dark sauce (lou) is like a thing in Taiwan. And finally… the famous (or infamous?) stinky tofu. 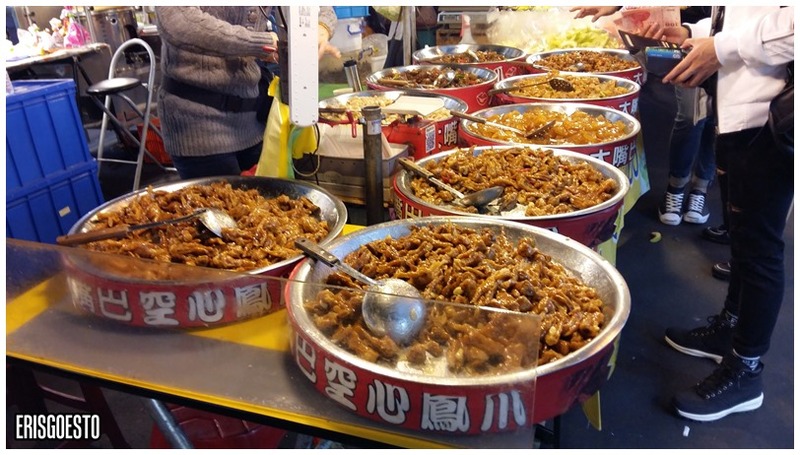 I’ve tried it once (read on my first experience here), and I was curious as to how different it would be in Taiwan, which is like, the home to stinky tofu lol. Despite its awful smell, it has a weird addictive quality. As my bro puts it, the more you eat it, the more pleasant you find it. Which is true tbh. We got one from a stall (you can smell it from a mile away), which was deep fried and served with pickled vegetables, a dash of chilli oil and seasoning. Fluffy and crispy on the outside, the tofu was soft and spongy on the inside, with a distinct, fermented taste. I can’t believe I’m saying this but I’m actually missing its taste as I write this, haha! Pretty lantern displays outside the market. 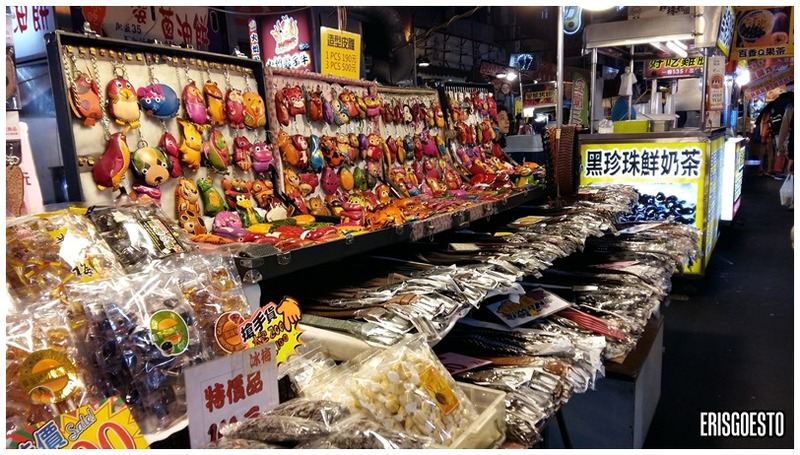 Getting to Raohe Night Market is easy; just hop on to the Green line and alight at Songshan station. Raohe is large and full of stuff to eat! We also spent an entire evening there. 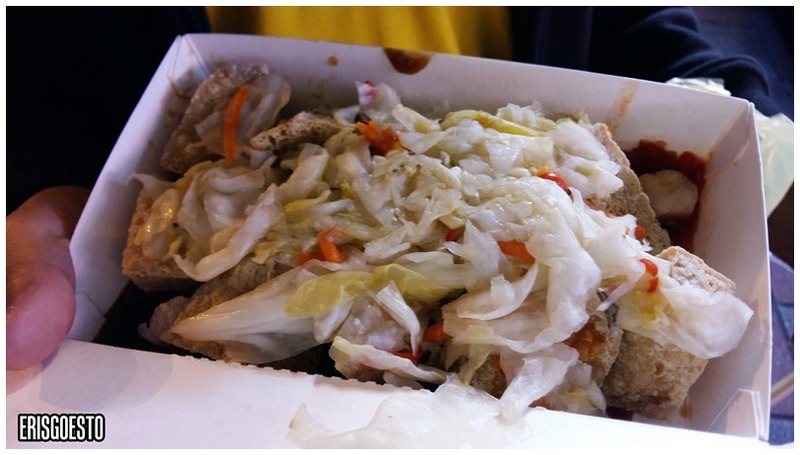 We were tempted to eat more than one serving of stinky tofu!